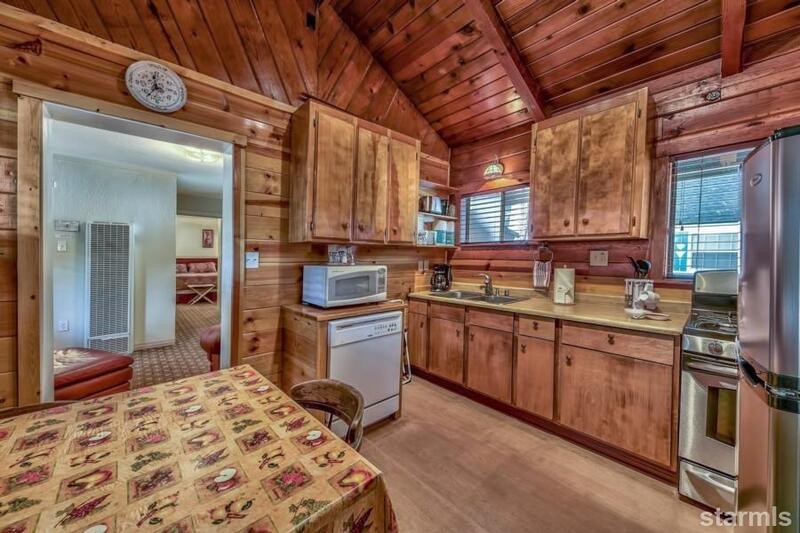 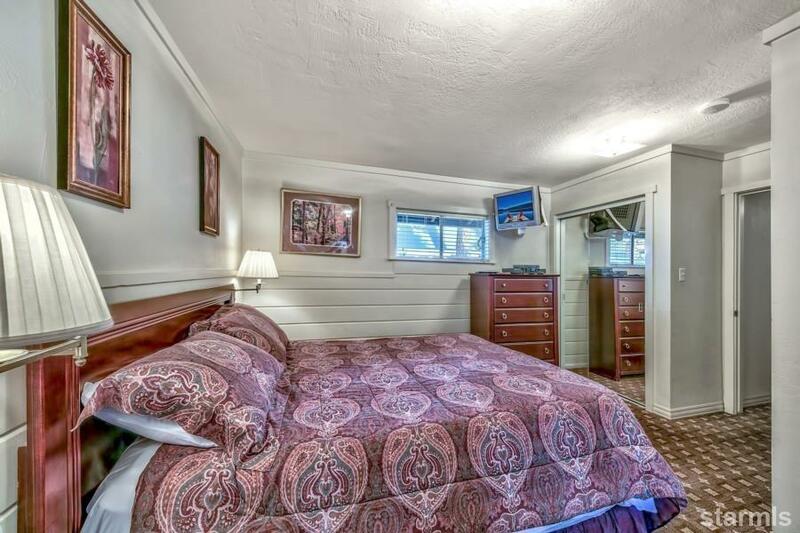 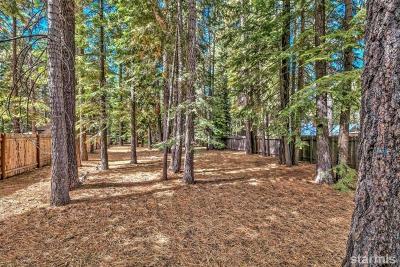 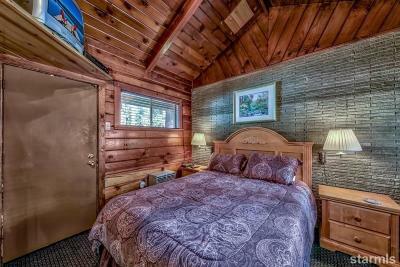 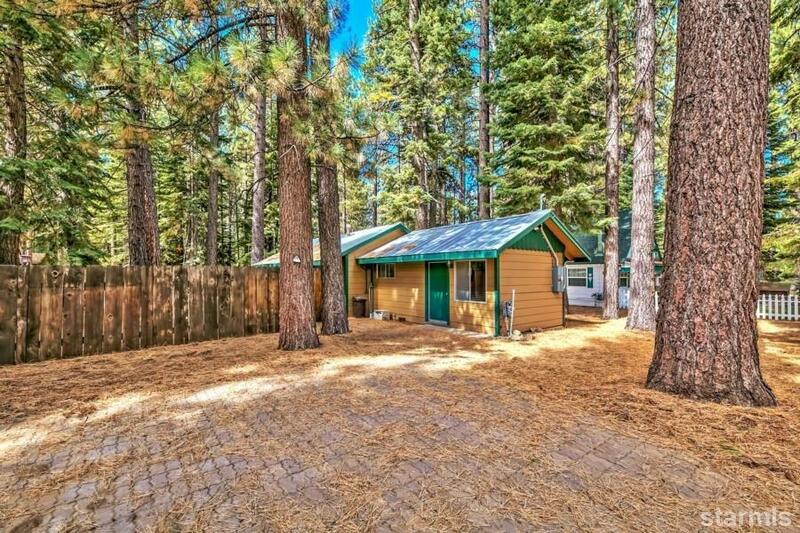 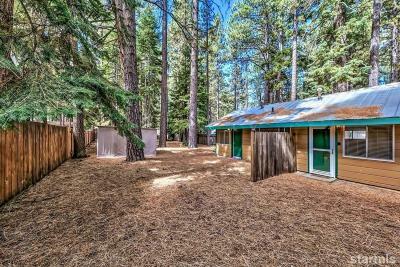 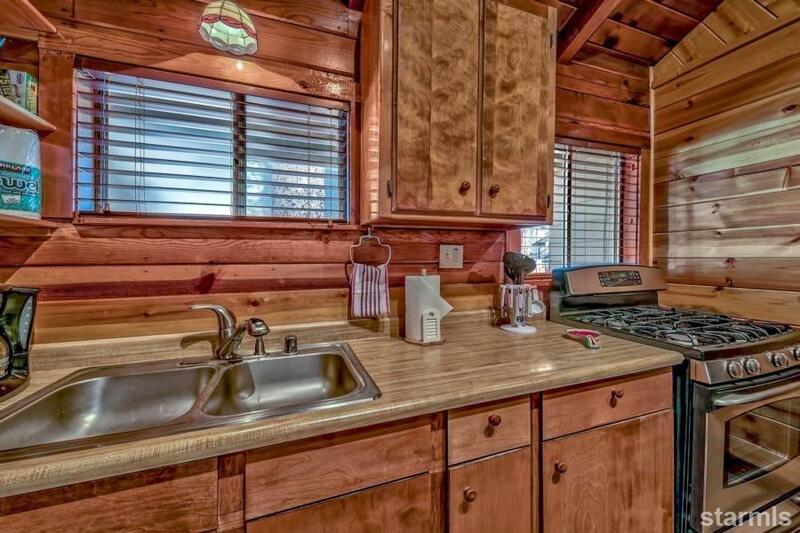 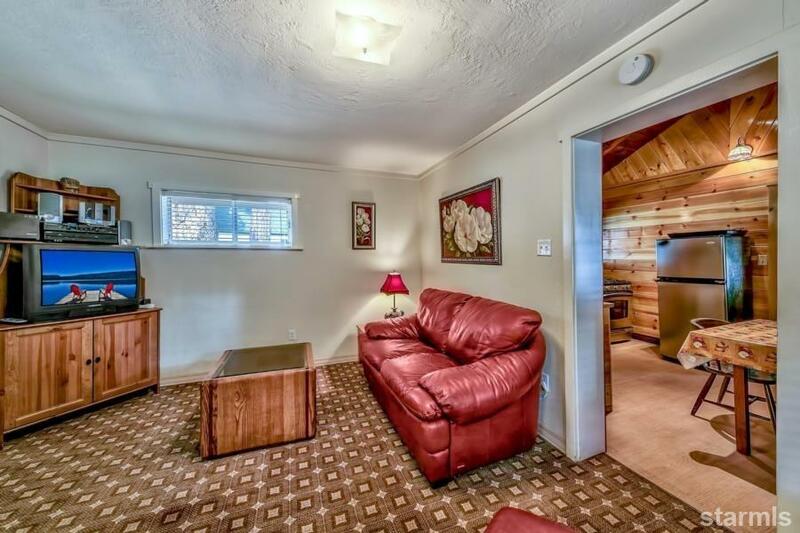 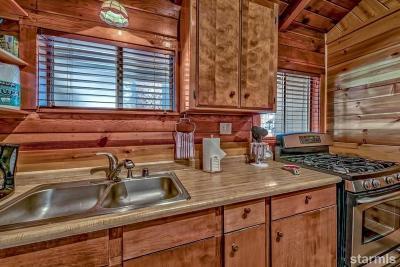 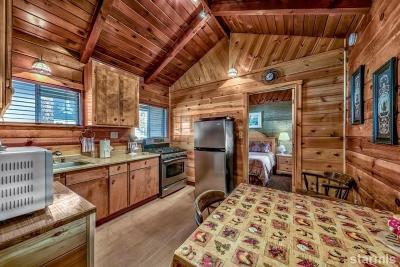 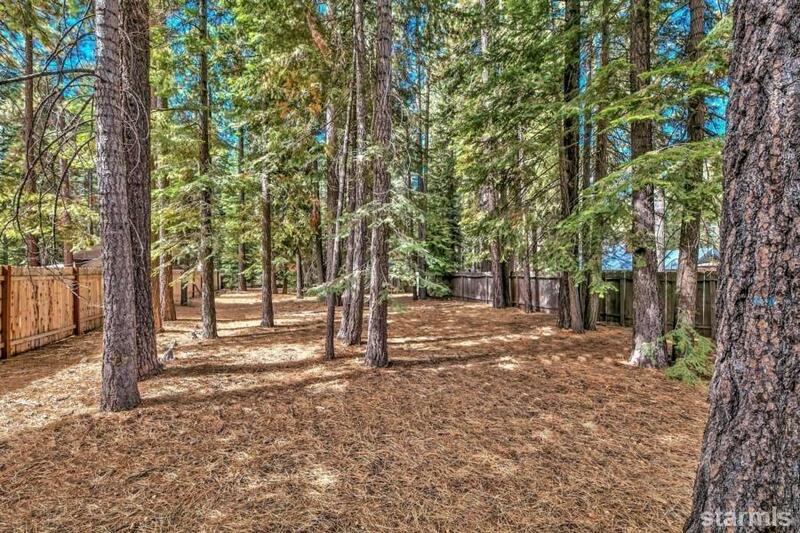 Charming cabin on a large lot, with park across the street. 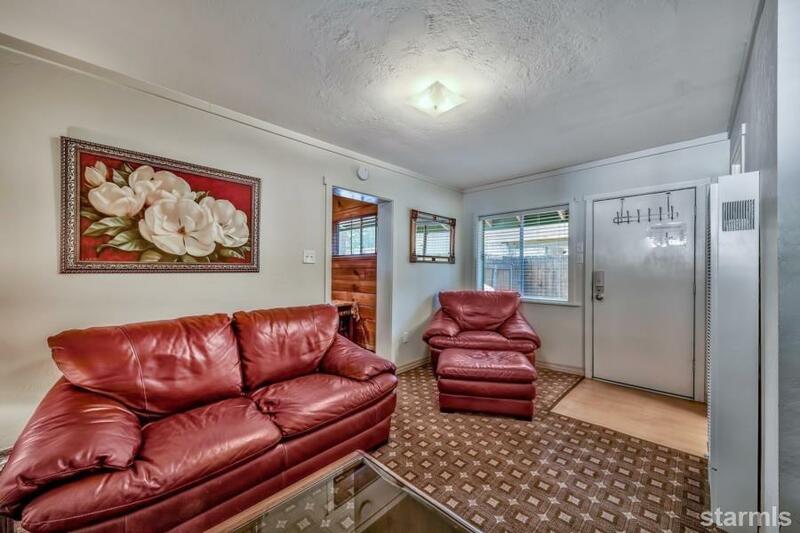 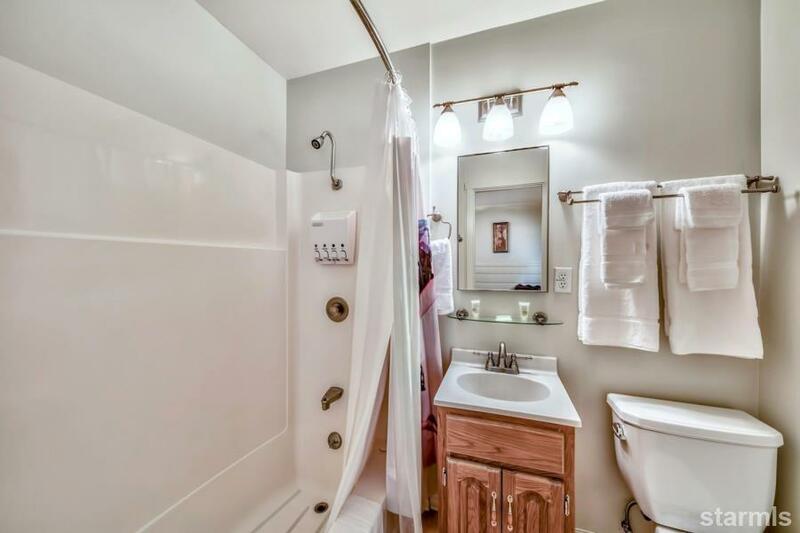 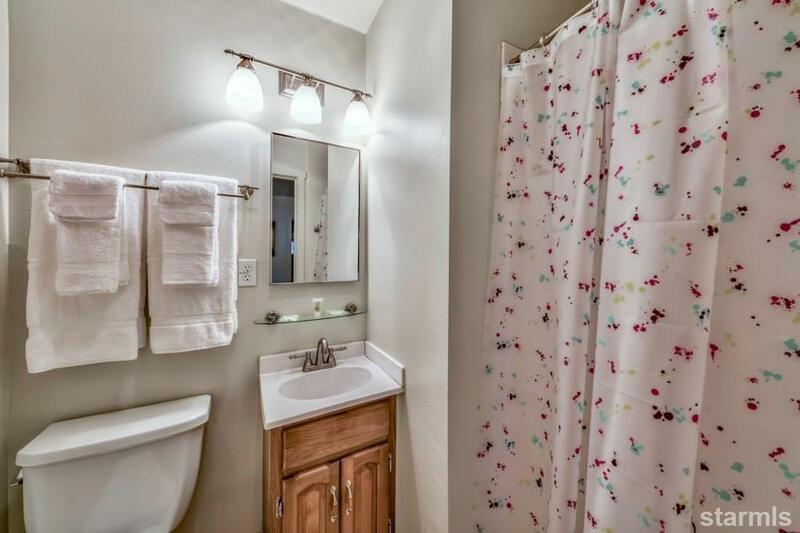 Single story 2-bed, 2-bath home with a great floor plan: bedrooms at opposite ends of house, with separate entrances, afford privacy. Living Area and open beam kitchen in the center of house. 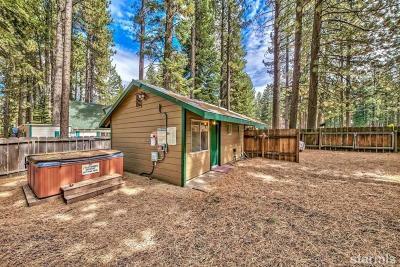 You are sitting on a very large lot with room to expand-- add a garage, or add on to the house (you have 1,930 square feet of additional coverage to work with). 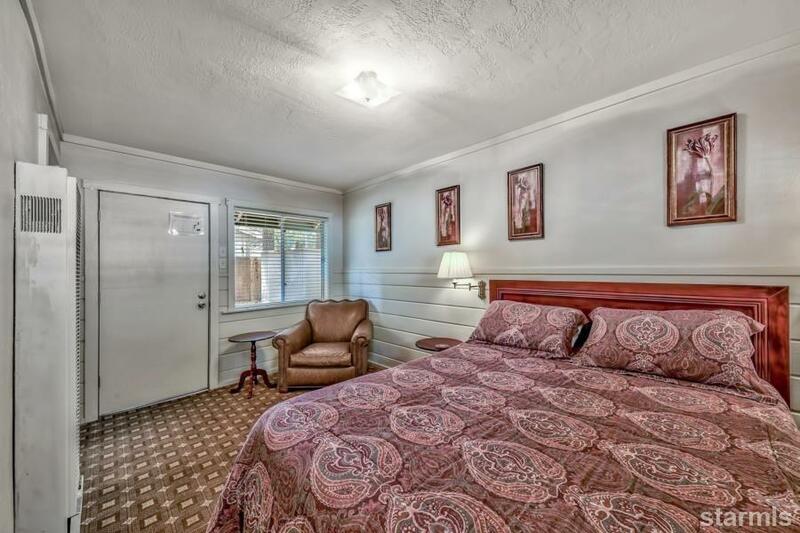 You are walking distance to cafes, breweries and shopping and a 10 minute drive or bike ride to the public beaches. 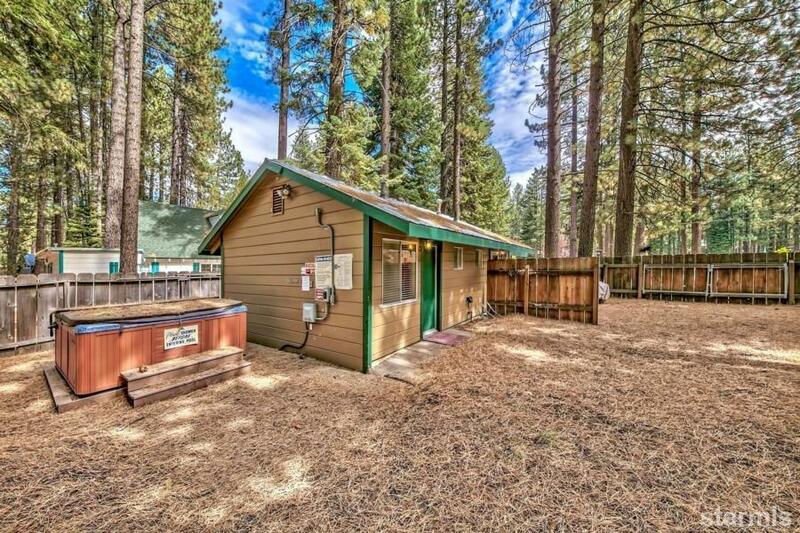 A 15 minute drive will take you to Stateline or Heavenly Ski Resort. Enjoy soaking in the hot tub after a day of skiing. 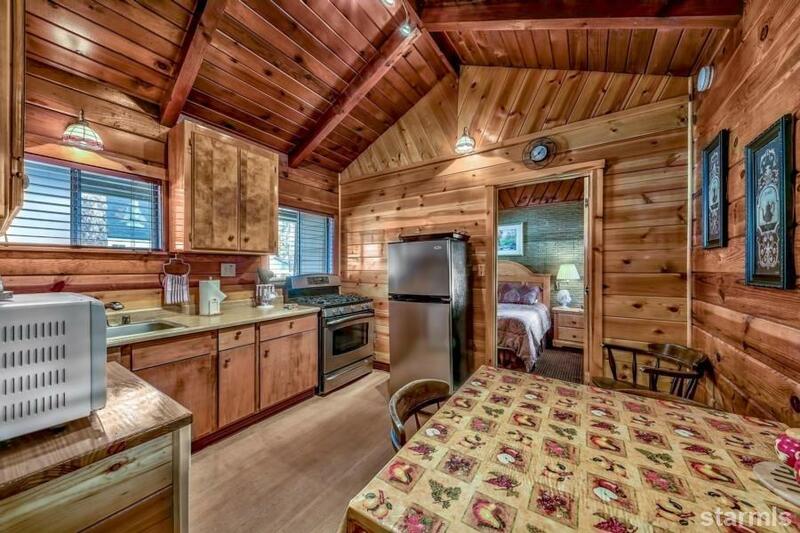 A delightful getaway! 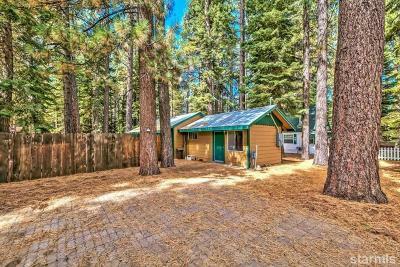 Partial ownership opportunity available at MLS 130322.